A friend brought over a pint of coffee ice cream for dessert last week and left the remainder in my freezer. I'm not a big coffee ice cream fan BUT I am a fan of iced coffee drinks, especially in the summer. Of course, you know where I'm going with this, booze was going in that coffee ice cream drink. 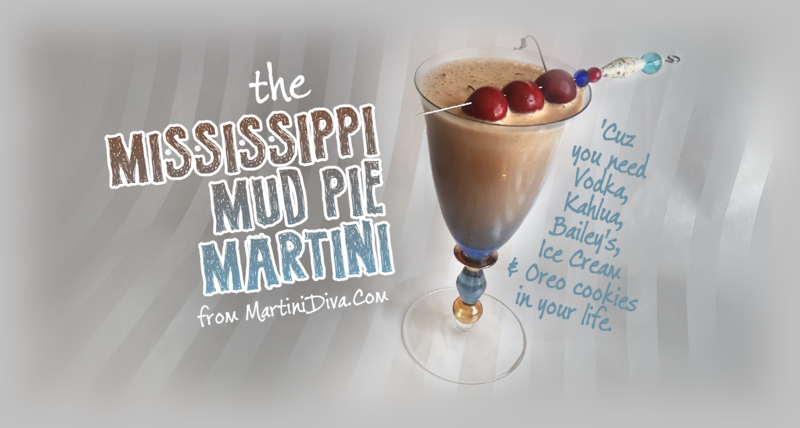 By the time I finished I had what was basically a Mississippi Mud Pie in my glass; Oreo cookies, coffee ice cream and a nice little punch from Kahlua, coffee and chocolate vodkas and Bailey's Irish Cream. It was just like drinking one of those classic seventies restaurant desserts. Rim your glass if you choose to, then chill the glass in the freezer. 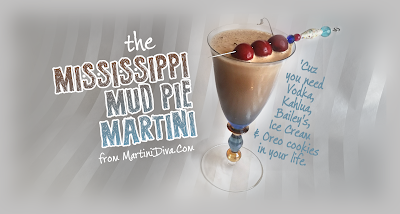 Add the ingredients to your blender and pulse until smooth and creamy. 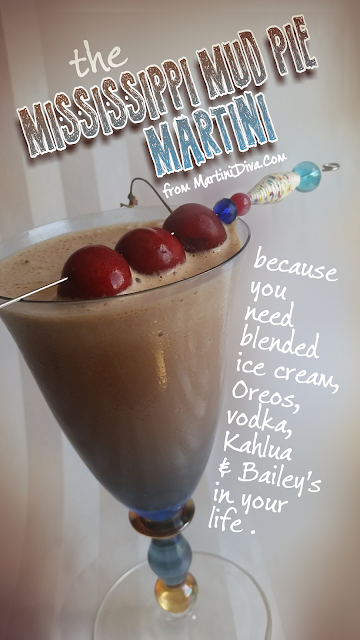 Pour into your chilled glass, add a few extra Oreo cookie crumbles on top and serve.